You’ve got this gorgeous fabric that you’re just dying to sew up but you know you should sew a muslin first. Ugh, I know the feeling. You’re excited to get started sewing but there are a million little things you have to do before you can. Making a muslin seems like just one more thing in the way. I know it seems like an extra step that takes a lot of time but I promise you that it’ll actually save you time! Not to mention save your gorgeous fabric from being ruined which would just lead to tears. 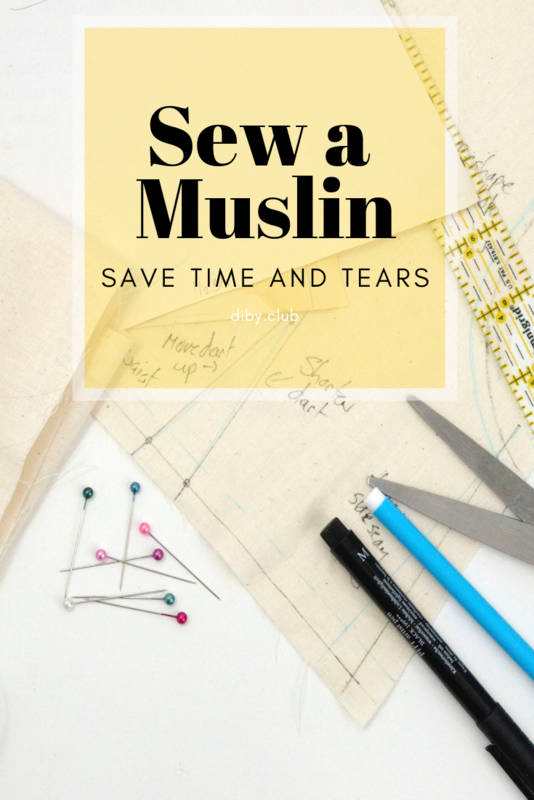 Let’s talk about the reasons for sewing a muslin. Then we’ll go over some essentials that will save you time and ensure that your muslin is a success. Can’t make this now? Pin this image to save this project for later! Why Sew a Muslin First? The main reason for sewing a muslin is to make sure that it’s going to fit. Clothes are certainly not a one size fits all body shapes. The pattern might say that your measurements fit into a certain size but your body shape is completely unique. Clothes will fit you differently than someone else with the same exact measurements as you. I bet that one of the major reasons you started sewing for yourself in the first place was so that your clothes would fit perfectly, unlike department store clothes. The only way to ensure you get a perfect fit is to sew a muslin. If this is your first time sewing a pattern then you most definitely should make a muslin first. If your pattern has buttons, or pleats, or pockets, you can check the placement of all of these things to make sure they’re right where you want them. You can mark up your muslin all you want, this version doesn’t need to look pretty! Ok, yes up front it is a little more time to sew a muslin. But in the long run it’ll save you time. If you sew this pattern again then you’ve already done the heavy lifting and the next time you make it, it’ll be a breeze. I find that three times is the magic number to getting a pattern absolutely perfect. So get to know your pattern first and you’ll have a long lasting relationship with it. Muslin fabric is super cheap, but your designer fabric is not. So if you think that you might ruin your designer fabric, use some cheap fabric first. If you make mistake on your designer fabric or if it doesn’t turn out how you imagined then that fabric’s wasted. It’s a good idea to keep some cheap fabric on hand so that when you need to sew a muslin you have some ready to go. Don’t throw out that fabric your grandma gave you that you find hideous, use it for a muslin! You can use a fabric that you kind of like but if it get’s wasted your not crying in your pillow over it. If your first attempt was good enough then you can still wear it! If you want a wearable muslin then you can go ahead and sew it just like you would your final garment, details and all. Usually there’s always at least one step in a pattern that makes our palms sweaty and our hearts beat a little faster. That may be putting in an invisible zipper, attaching a neckband, or setting in a sleeve. I always find it beneficial to practice that tricky step before the sew. 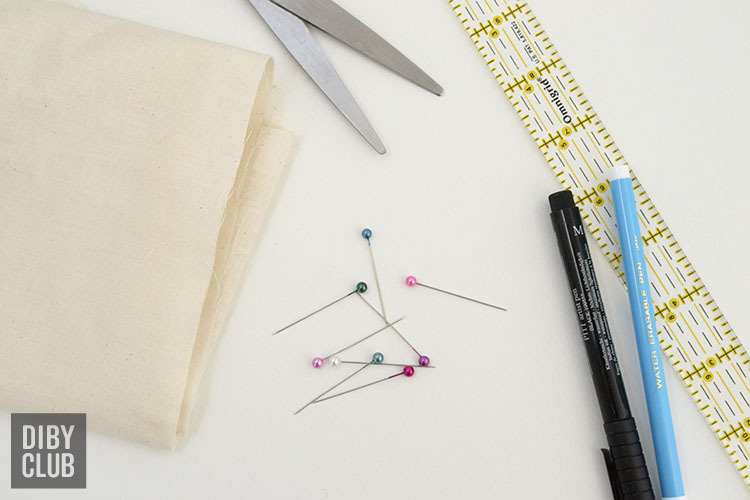 Editor’s Note: Enjoying this fundamental sewing step? Try it on the Annette Swimsuit, then you to can have an awesome swimsuit! Know your measurements first. 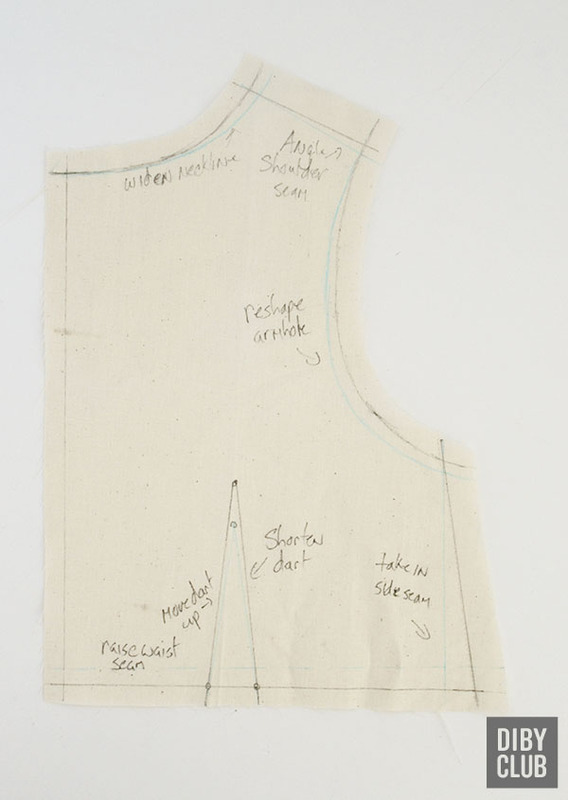 Learn how to take your own measurements if you don’t already have them. It’s great if you have a mannequin that matches your measurements but you certainly don’t need one to make a muslin. It’s a good idea to use a fabric that’s very similar in weight to your final fabric choice. Muslin fabric is great if you’re working with a woven. For a knit muslin you’ll want to choose a fabric that has a similar stretch ratio, drape, and fiber content as your final garment fabric. I always choose a fabric that’s on the stiffer side so that it holds it’s shape and is easier to adjust. Don’t sew your muslin with a slippery fabric! Make sure that you’re wearing what you’ll wear with your final garment. If you’re fitting a blouse, then wear the bra that you plan on wearing when it’s done. If you’re making pants, make fit adjustments with the shoes on that you’ll wear with them. Even the little things can alter the final fit. You only need to work with your main fabric pieces. There’s no need to cut out a muslin for any embellishments or extra details like pockets. Also there’s no need to finish your seam allowances or to hem. Since your muslin won’t have all the details and finishes it’s way faster to sew up. When sewing a muslin a baste stitch will do just fine. This makes it easy to take the garment apart if you want to make a pattern piece from it and baste stitches are also faster to sew! Once you have your muslin sewn up, fit it on inside out and pin it in the places that need to be taken in. Mark with chalk or a fabric pen if a seam needs to be moved or if a dart needs to be changed. Have a friend take pictures of you from all angles. You’ll get a much better idea of the fit than staring at yourself in the mirror. There really is nothing worse than putting a lot of time into making something for it to not fit when you’re done! When you sew a muslin it’ll save you time and the frustration of having to rip your seams out to adjust something later on. So don’t forget, when in doubt sew a muslin first. Jessamin is a mom of four littles. Her favorite things beside her kids are chocolate, bubble baths, and hot summer days. She's always trying to cram in one more project into her already busy schedule but loves the challenge. Thank you for this – although I have heard about muslins, and have tried a time or two to make one – I have not been too successful. 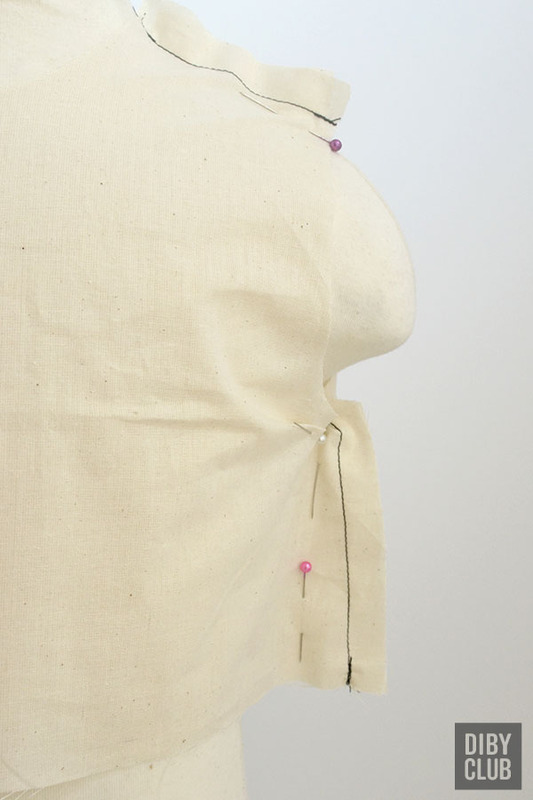 It is hard as a lone sewer to make adjustments when wearing your “muslin” – I am now trying to teach my husband how to pin areas that I think need tweaking. Love the idea of taking pictures. All content and images on this website belong to DIBY Club and are protected by the DMCA. Please be respectful of our work and do not distribute or republish any of our content (paid or free) without consent.